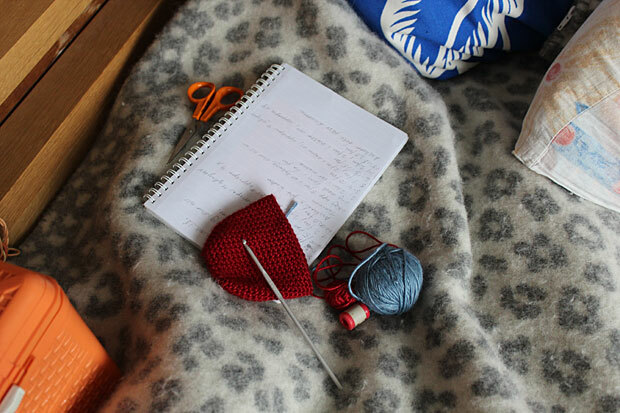 Some pics from my book making. Sorry for being so predictable. Found the fish ages ago but haven't had the time to share them until now. They may make it into the book. If I bought your book, would you sign it for me? Or get the fish to? 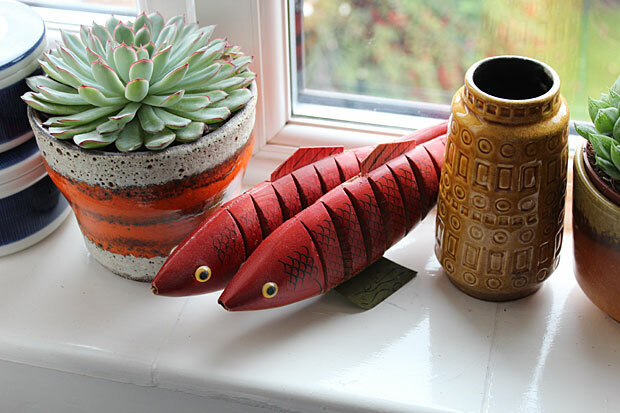 Like your fishes! and this red! so red! 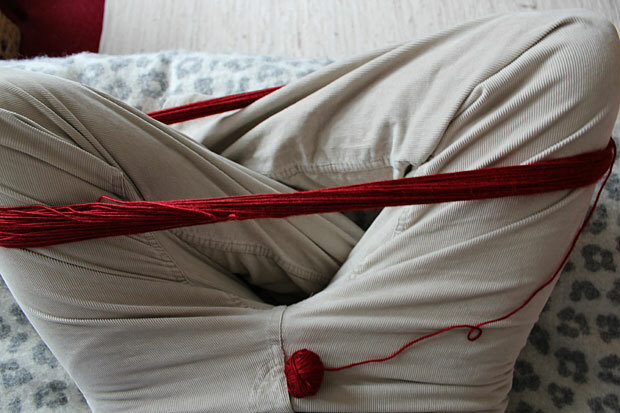 You make a skein with your knees, me with two chairs (so lazy...). Christelle the wool is gorgeous - Debbie Bliss Andes (65% baby alpaca and 35% mulberry silk) gorgeous to handle. The knees were the easiest solution - couldn't be bothered to get two chairs out.